The forbidden fruit for so many mortals. "I've been trying to find the answer to my two main concerns. How much of an ROI can I expect to make with low-risk trades within a year? If it's below 8% I'd consider myself safer sticking with passive investing. My second question is how much time needs to be devoted to successfully trade?" - Crossing my heart, if you truly have a game plan in place already, a plan that has worked and works for you. A plan that will make full retirement a guarantee at this point. Then my friend, you don't necessarily have to complicate your life with active trading. I hate to say it because I would be losing one reader of this site. But you don't need to actively trade. You are perfectly fine with what you are doing and your game plan already works for you. So, from there on, anything I, or anybody, says to you, is purely optional for you. - Do not underestimate a consistent 8% annual return. 8% is a good solid return. Now, as a passive investor you will have to stomach 30% - 40% draw-downs from time to time given a long enough time-frame. Passive investing is not all it's cracked up to be. For example what if you suffered a 55% draw-down in 2008 right before your retirement? or what if you suffered a 89% draw-down in your retirement funds right before your retirement, as it happened in 1929? But that being said, you are close anyways and you seem to be well on your way. The stock market on average has returned about 7% annually, so you would be beating the markets with 8%, something which very few people can consistently do including the so called "professionals". So, yes 8% returns per year are a challenge, regardless of the strategy. I personally try to achieve +10% to +30% per year while trying to keep my maximum draw-down below 10%. That's pretty challenging. And I am aware of the added risk I am taking in order to achieve those out-sized returns. That's really what it comes down to. How much are you willing to sacrifice? because additional returns will only come at the expense of additional risks. - How much time needs to be devoted? well, there are so many different ways to skin a cat aren't there? There are hundreds of trading strategies, each one with a different energy/dedication level required. My options trading style has come to a point where it is very simple and mechanical and I invest less than an hour per week analyzing my positions and next moves. In fact, writing an article on this site takes me longer. Of course, to get to this point I did have to study a lot, years indeed. But as for actual execution right now, seriously, less than an hour per week. I have a full time job, so I cannot be glued to the charts all day, nor do I want to. Summing up, if you're a wrinkly, close to retirement and with a decent nest egg already invested that will allow you to inevitably fully retire, you don't have to change what you have done so far. I would love to sell you stuff man, but I can't, in good conscience, advise for you to start actively trading. Of course, knowledge never hurts. Learning how to reduce your cost basis and mitigate risks with basic options strategies like Covered Calls, or some protective insurance Puts to protect your nest egg, that's good, and perhaps something you may want to read up on a little. 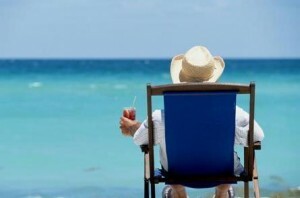 When you are already retired you cannot afford to make many risky trades if investing is your only source of income. I know a retiree who lost a a chunk of his retirement fund late last month by selling short-term credit put spreads on SPX and NDX. Now he has to postpone retirement and go back to work. This could have been avoided if he had a more conservative and diversified portfolio that was not correlated with the stock market. It's a totally different ball game when you don't have a full time job salary to fall back on. For retirees being more conservative is a most. Some preferred shares, good historical dividend payers, perhaps some bonds, maybe some basic covered calls and for growth perhaps following a couple of indexes. No cow boy trading, naked selling, Forex, Binary options, CFDs or any of those stuff.